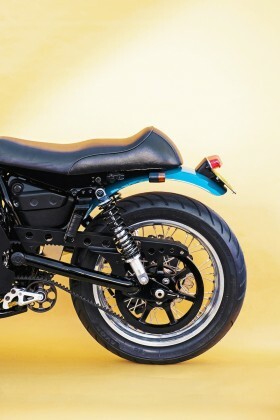 We all want to lose some weight, trim up, go faster, pull harder. 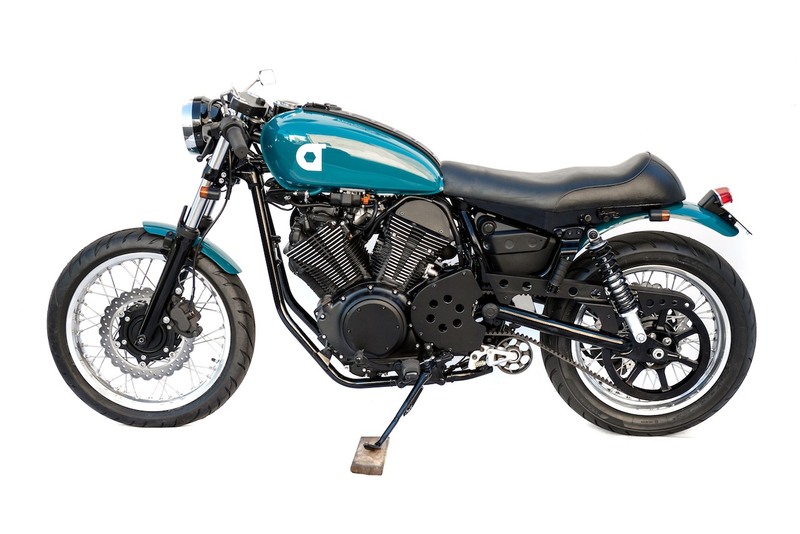 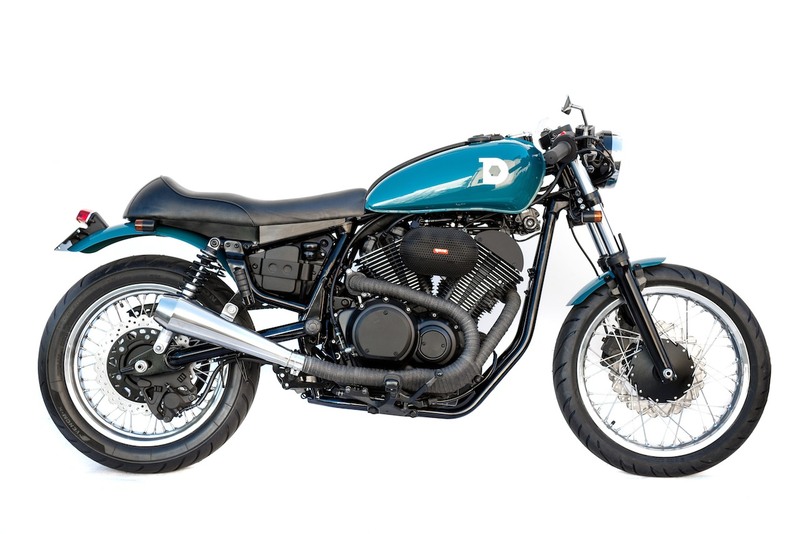 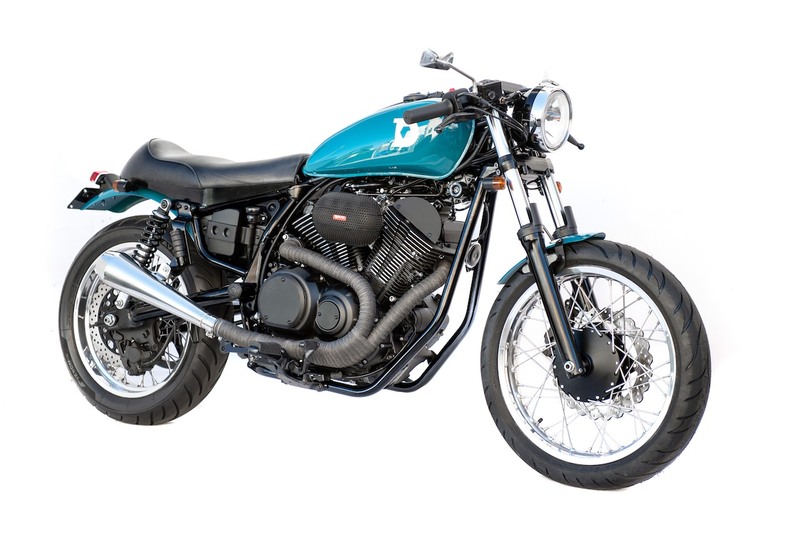 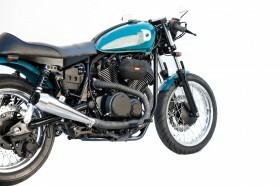 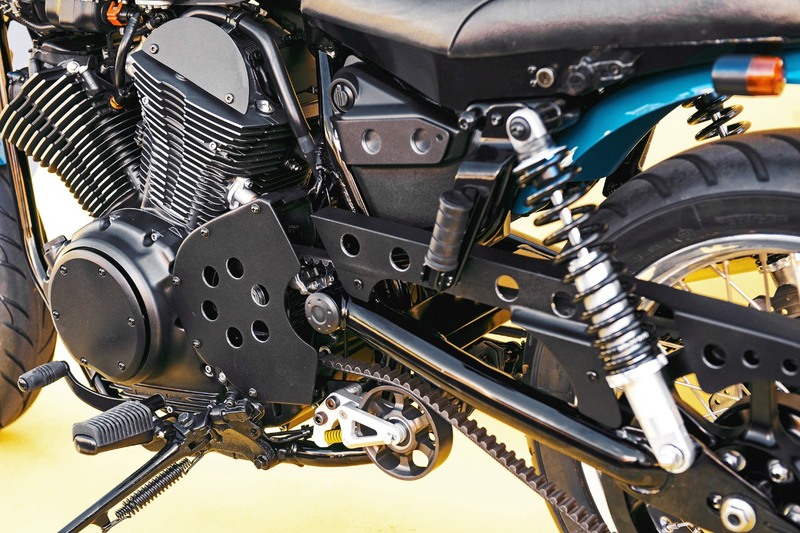 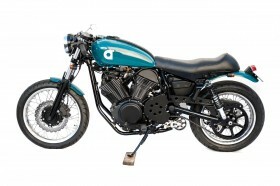 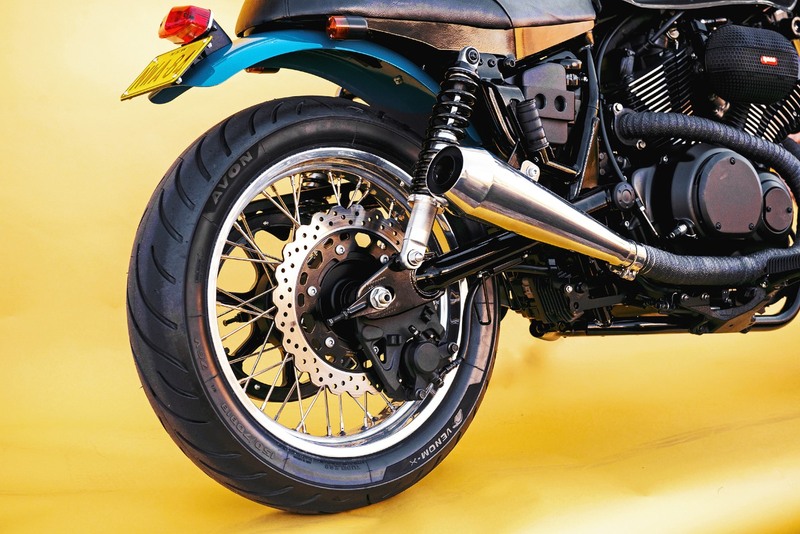 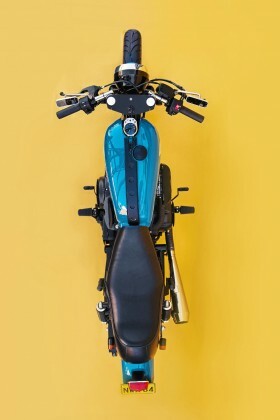 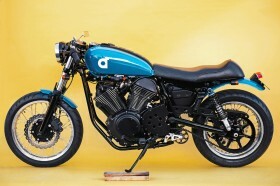 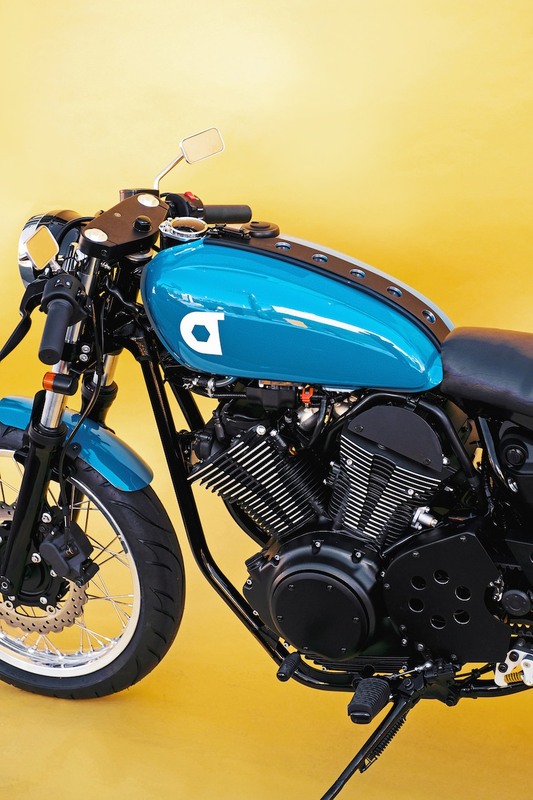 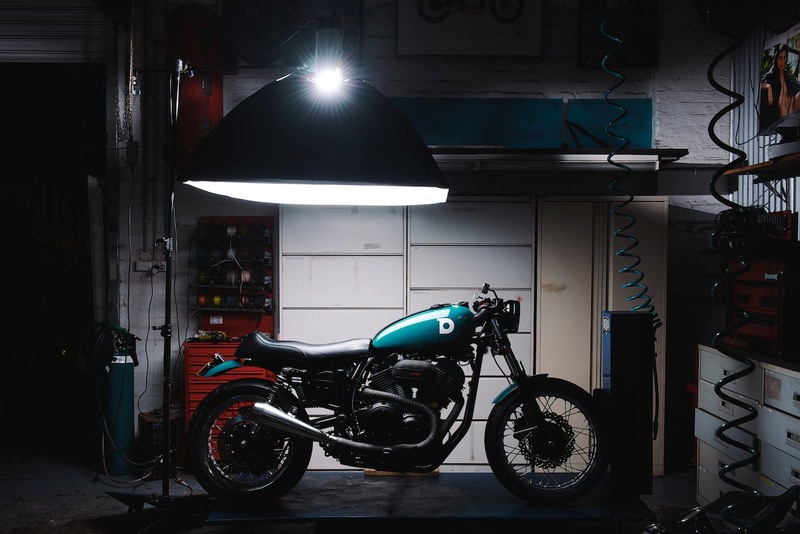 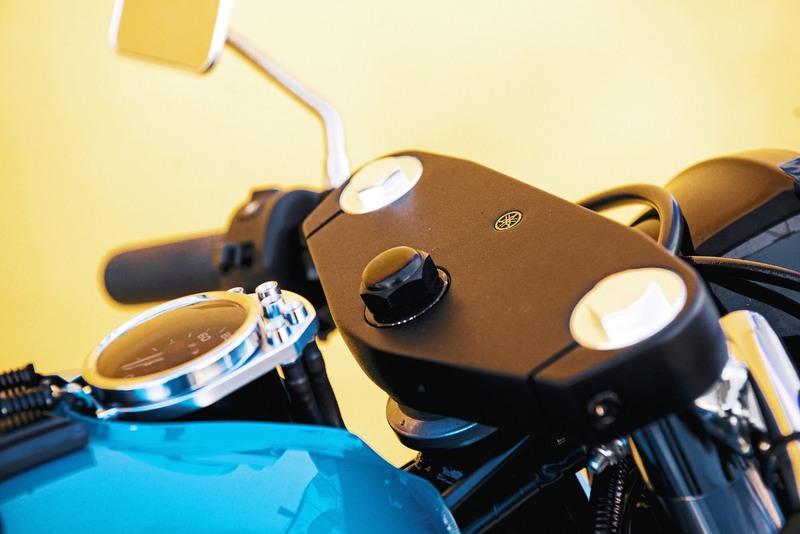 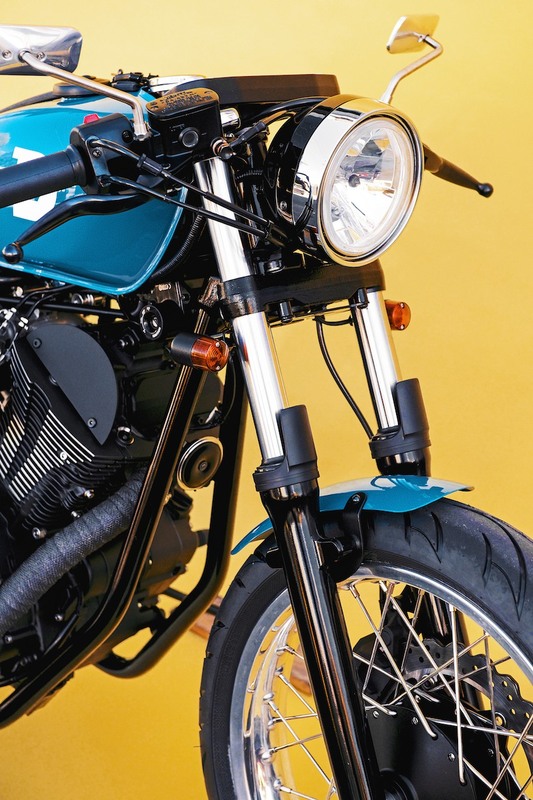 The Deus Ex Machina D-bolt lives true to this – A café Racer with muscle and style for two up fast times. Camperdown head mechanic Jeremy Tagand dispensed with almost all stock factory bodywork on this XVS950 – no expense was spared in giving the Bolt its nip, tuck and massage; modified Series one SR tank, a custom sub frame for the new pouch seat, lowered front forks, new alloy wheels, fabricated aluminium engine cover, alloy chain & sprocket covers, custom belt tensioner rig, custom tank strap, frame mounted Daytona speedo, reprofiled top clamp, Ikon rear shocks, SS front and rear fender, air filtering from Ramflow, clip-ons by Tingate, a retro fitted fuel pump, tuneful custom Forane exhaust pipe system, stainless mini mirrors, obligatory heat wrap and some powder coating on every nut and bolt along with a splash of blue green paint. 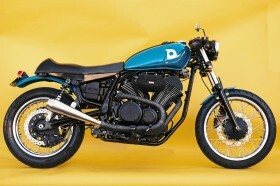 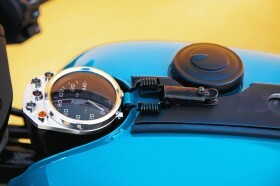 After this lengthy laundry list of mods the fresh faced V-twin emerged from surgery lighter, faster and louder. 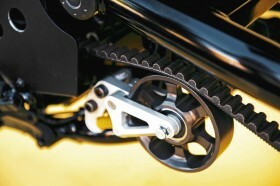 Enough to put a twinkle in every VTwin lovers eye.